When we moved into our new house this spring, we couldn’t wait to get started with decorating our little lady’s room and began as soon as the carpets were down and the paint was dry. One of the most exciting things about buying a house is getting to put your own stamp on it and I couldn’t wait to create the perfect space for our little one. We were lucky enough to discover the Great Little Trading Company when the little lady was just a few months old and have been huge fans ever since. Its one of those companies that has so many lovely products that you cant help but want to buy almost everything they sell. We’ve bought lots of bits and pieces over the last two years and regularly have a browse through their website and catalogue to see whats new. As soon as I saw the Potter Library Table on their website I just knew we had to get it for the little lady’s room. Not only would it look perfect, but she would probably love it too given her fondness for books. As proud, but financially stretched new homeowners we (mostly I) spent about a month or two obsessing about it and checking it was still in stock before we actually committed to ordering it. The £90 price tag did make me really consider the purchase, but I have to say it is totally worth the price it commands. Designed by the stylish folks at GLTC, they have managed to put a modern twist on the classic library table design and produce what has to be the sweetest little library table in existence. Made from sturdy MDF which has been finished in a stylish matt white, exposed pine legs and a cute little blackboard sign, it not only looks, but feels well designed and put together. It is as GLTC say on their website, the perfect height for young readers. Strategically placed next to the little lady’s bed, she can very easily browse, select and put back her books as and when she pleases. As an independent toddler she loves to do things herself and its great to have a piece of furniture that develops and gives her that independence. Before we ordered it I wasnt sure how many books we’d be able to fit in it and I was a little worried that we might have a surplus of books to squeeze in elsewhere, but I’ve been really pleasantly surprised by how many we’ve been able to fit in it (loads!) and still have space for more. It’s really easy to organise and looks good pretty much any way you decide to arrange your books. The little lady has books in all sorts of sizes and formats and yet it always looks stylish no matter whether its her or me that organises it. I absolutely adore the Potter Library Table. It is my favourite piece of furniture in the little lady’s room and is always the first thing people see and comment on when they walk into the little lady’s room. I would definitely recommend it to anyone else with little bookworms, so if you are looking for that stand out bookcase then this has to be it. The fact that it happens to also be stylish, practical and functional just gives you less excuses not to buy it! What do you think of the Potter Library Table and its twist on a classic design? Are you more of a traditional book shelf person, but quite tempted by this design? I know I was, so I’d love to hear what you think! This was an unpaid for review for our Things We Love Series. All opinions are my own. This is a brilliant book storage solution. Sometimes it’s really hard to find the specific book that you are looking for on a traditional bookcase. You raise a very good point! It’s a winner on some many fronts 🙂 Thanks for reading! This looks amazing, I think I will need to get one for my little lady when she gets a bit older( Only 7 months just now) Reading is so important and this looks like a fab way for little ones to stay interested in books. I love GLTC stuff and this looks amazing! I’m torn between buying one of these, or the ladder shelves that they sell for book storage. Baby Isabella recently posted…Sandy Sea Monsters on the beach! What a lovely way to display books and make them easily accessible. Thanks, it’s a lovely little table. 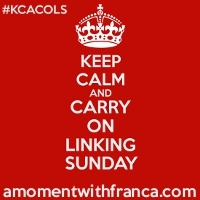 Enjoyed linking up to tried and tested for the first time! A Moment with Franca recently posted…After All…..Tomorrow is Another Day! Oh, I do love that! It is gorgeous and stylish and perfect for any little book worm. Little Miss H’s books are currently littered all over the house. I would love to have something like this in her room. But the price tag would put me off. I might have to see if i can get something similar and upcycle. 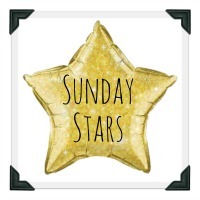 Thanks for sharing with #SundaysStars. I am sorry it has taken me so long to comment. Hugs Mrs H xxxx PS I adore your little miss’s bed. That is completely gorgeous. 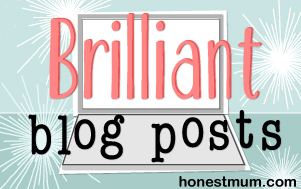 Mrs H recently posted…Your current behaviour has got to stop!